While many of BC’s trees are going up in flames, the most resilient provincial forests that are less prone to fire – intact old-growth rainforests – continue to be clearcut in most parts of the province. 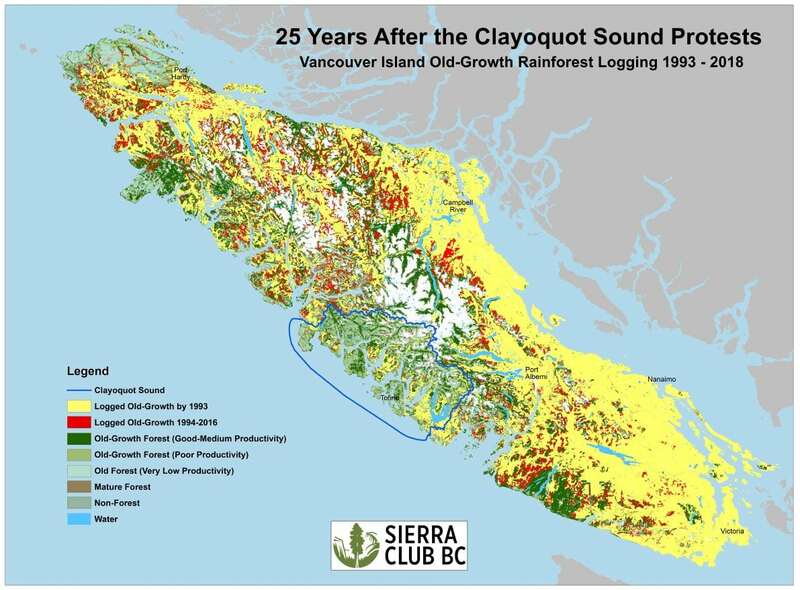 On the twenty-fifth anniversary of the historic Clayoquot Sound mass arrest, a new Sierra Club BC map and data show more than 30 percent of Vancouver Island’s remaining productive old-growth rainforest in 1993 was destroyed in just the last twenty-five years. Only about a fifth remains intact. 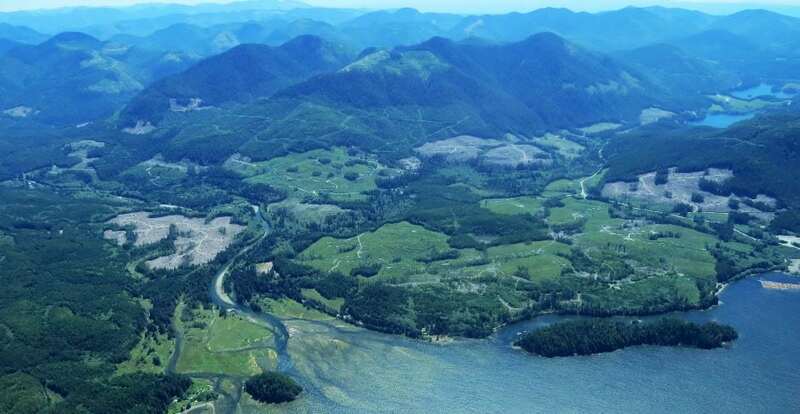 Many British Columbians and people around the world believe to this day that the Clayoquot Sound protests resulted in a massive victory for rainforest protection for the whole province. But the reality is different. The protests improved the fate of the rainforest in Clayoquot Sound but not for most other parts of the province. The other ninety per cent of Vancouver Island was relentlessly logged, with severe impacts on coastal economies. In 1993, sixty per cent of the rainforest in the Clayoquot Sound region – the territory of the Ahousaht, Tla-o-qui-aht and Hesquiaht First Nations – was still intact. Although only part of the region (seventeen per cent) received formal protection after the protests, the vast majority of its old-growth rainforest remains intact today. First Nations have gained greater decision making power and are engaged in planning to determine long term land use designations. But the situation couldn’t be more different across the remainder of Vancouver Island. There, only twenty-nine per cent of intact productive old-growth rainforest remained in 1993 and this number is now reduced to a shocking nineteen per cent. The amount protected remains dismal at less than six per cent. The protests in Clayoquot Sound, led by Indigenous leaders and supported by thousands of concerned citizens, made international headlines as the largest act of civil disobedience in the history of Canada. August 9, 1993 is considered a peak date of the protests with more than 300 people arrested (out of a total of more than 900 arrested). As a result of the protests, the BC government had to change course and give up its plan to allow logging of the majority of the region’s old-growth rainforest. In 2017, the Ahousaht First Nation announced a land use vision seeking Indigenous protected areas for the majority of their territory. The destruction of BC’s globally rare, endangered old-growth rainforests threatens biodiversity, Indigenous cultural values, carbon storage and other environmental services, and a diverse economy. BC’s temperate rainforests represent the largest remaining tracts of a globally rare ecosystem covering just half a per cent of the planet’s landmass. When left intact, they are also considered relatively resilient and less vulnerable to climate impacts such as fire and insect outbreaks compared to other forests. 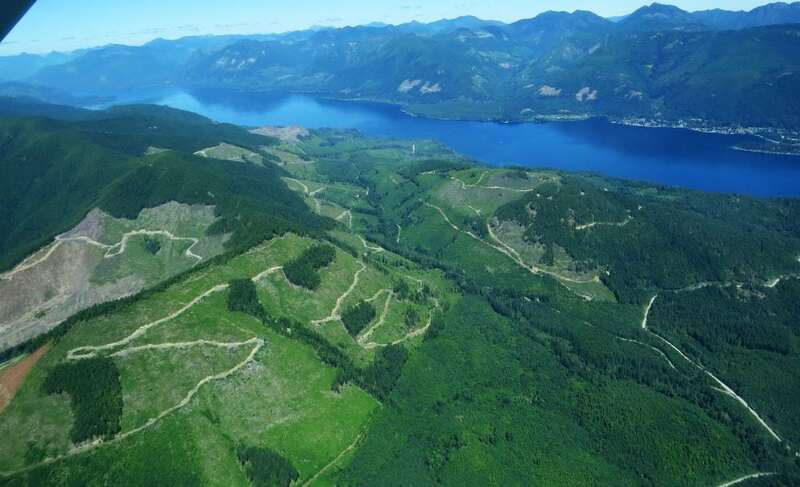 Yet the current rate of old-growth logging on Vancouver Island alone is more than three square metres per second, equivalent to the area of nearly two soccer fields per hour. 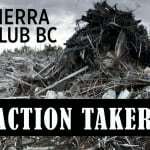 The NDP’s 2017 election platform included a commitment to act for old-growth, promising to take “an evidence-based scientific approach and use the ecosystem-based management of the Great Bear Rainforest as a model.” But one year into taking power the BC government has not yet taken any meaningful steps to protect endangered coastal and inland old-growth ecosystems outside the Great Bear Rainforest. The province has still not committed concrete support to the Ahousaht and other First Nations on Vancouver Island who are seeking long term solutions to save the remaining unprotected old-growth rainforest. It’s time for the provincial government to step up. Please call on Forests Minister Doug Donaldson to protect the last ancient stands of Vancouver Island.